Trading of perfumed incense sticks – The company has recently started trading of perfumed incense sticks. In the month of August 2018, the company exported one container of incense sticks to Togo in West Africa. Contract Farming – Shree Krishna Infrastructure Limited plans to do contract farming at Nikoli, Taluka- Nandod, District-Narmada, Rajpipla-393145 Gujarat on a total land area of around 7.40 acres and intends to cultivate Tulsi and Nepali Satavari for Amritanjali Ayurved (OPC) Private Limited. To execute the same, the company has already signed business agreement dated May 30, 2017 with 3 land owners who will provide their land on long term basis (10 Years) for the said purpose. Sales and Marketing of Navigation Equipment in Gujarat – M/s. Marine Navaids And Solar Auto Private Limited (MNSAPL) has appointed Shree Krishna Infrastructure Limited as its sole agent in Gujarat vide agreement dated May 10, 2018 for the purposes of sales and marketing of MNSAPL’s products & services which are into manufacturing of Aids to Navigation Equipment and Maritime consultancy for aids to navigation. The said agreement shall remain valid for a period of 3 years. Distribution of E-Vehicles – MNSAPL is also carrying on business of manufacturing of solar operated Auto Vehicles and has agreed to designate Shree Krishna Infrastructure Limited as its Exclusive Distributor in Gujarat vide agreement dated March 31, 2018. The said agreement shall remain valid for 10 years. Marketing arrangement for Terra Technologies and services – The company has entered into an agreement dated December 18, 2017 with USA based Terra Energy & Resources Technologies, Inc. as marketing representative for India, for marketing of valuable and proprietary natural resource exploration technologies and offers exploration services in subsurface exploration and identification of oil, gas, water, minerals, gems and other valuable elements. 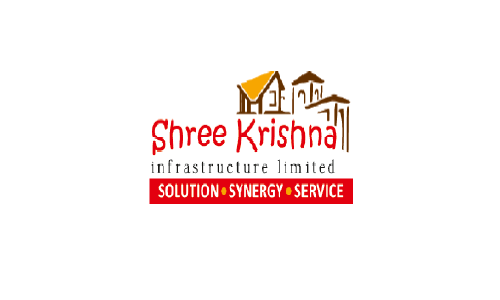 Shree Krishna Infrastructure IPO allotment status is now available on Satellite Corporate Services' website. Click on this link to get allotment status. 3.53 lakh profit!!! Most exciting awesome IPO of the year!! !